Two of Velvet Escape's ten incredible bridge walks are on bridges in Japan — the Yokohama Bay Bridge and the wooden Kintai Bridge in the town of Iwakuni. And of course what better song to listen to while walking one of these bridges than Keiko Matsui's "Walking On The Bridge ." 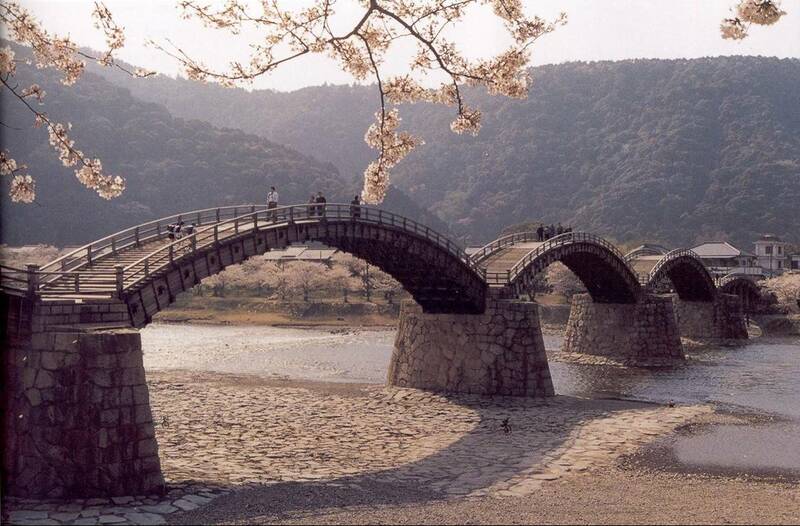 The Kintai Bridge looking marvelous at cherry blossom time.